Ryan has a great appreciation for the benefits individuals gain from employing various financial strategies to retain and grow wealth throughout the life span. Ryan’s interest in financial planning began at an early age as he observed his father (an AXA Hall of Fame Member) helping individuals and small business owners to attain their financial goals. Ryan chose to pursue his passion for financial management, earning a degree in business. Realizing the value of his education, he continues to further his studies at Kean University in order to better serve the needs of his clients. In addition to his business degree, Ryan also holds Series 6 and Life and Health Licenses. 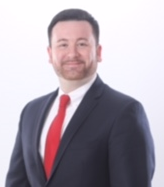 Ryan is focused on helping his clients to plan their financial goals, protect their families and businesses, and make sound investment decisions. Ryan resides in Toms River, New Jersey and is a lifelong south Jersey resident. Ryan is an active member of his community and enjoys being involved in various civic organizations. He is a proud supporter of the Make-A-Wish Foundation, as well as the Wounded Warriors Foundation. In his spare time, he enjoys fishing, golfing, snowboarding and music. Ryan is part of a family business, working closely with both his father and brother. His father began their organization over 35 years ago and in partnering with his sons has established an extremely successful financial planning practice. They provide a client centered approach to financial management, focusing on the specific needs and goals of each individual. Ryan works closely with his father, Robert McNeill Sr., who has been with AXA since 1983. Ryan has always aspired to work with people and help them the way his father had. In 2017 Ryan, his brother and father joined the Falcon Financial Group to work alongside advisors that they had known for over 20 years. By teaming, they are able to leverage the expertise of the other members of the Falcon Financial Group and improve advice, guidance and service to their new and existing clients. Licenses: Life and health insurance in various states. The Falcon Financial Group, LLC is not owned or operated by AXA Advisors, LLC or its affiliates.